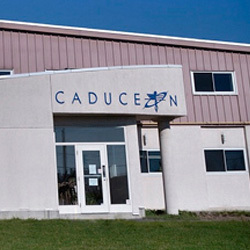 Caduceon strongly believes in working together as a team. We have Laboratories and offices in Ottawa, Kingston, Richmond Hill, Barrie, Windsor and London (depot), Ontario. We have a diverse staff that possesses a wide range of skills, both in the chemistry field and in office administration. If you are a positive, outgoing individual and feel your skills and experience can help us, please send us your cover letter and resume. We’d love to hear from you. Interested in joining our team? Send your resume to hr@caduceonlabs.com and we'll be happy to review it!